Go to war with your friends and become the world’s best squad in WarFriends, a unique 3D tactical action game from the makers of Mega Dead Pixel. Dodge bullets, dive between cover and take out the invading enemy forces by any means necessary! ONLINE WAR – Create a squad and enlist your friends to fight alongside you in ranked online deathmatches. Can you lead your squad to the top of the leaderboards? 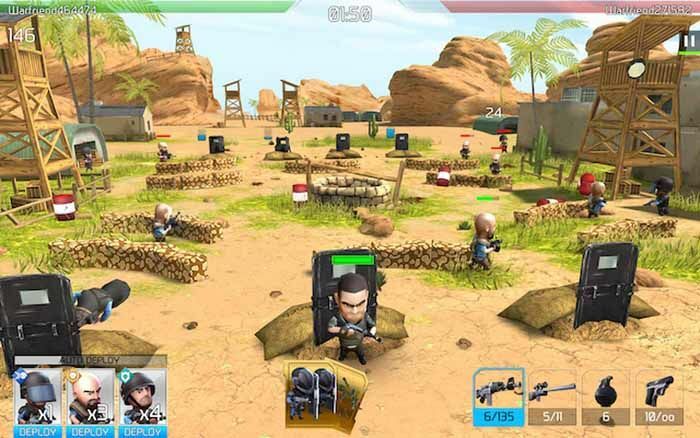 RAISE AN ARMY – Build an army of shotgunners, drones, and even jet pack troopers to deploy strategically in the heat of battle INTRODUCING WARCARDS – Build a deck of WarCards with game-changing perks. Deploy them in battle to slow your enemy, boost your weapons, inflate heads and much more!